Th Japanese anime "Gate" returns with the second season; "Gate: Jieitai Kanochi nite, Kaku Tatakaeri - Enryuu-hen", aired January 9th in Japan, with the first episode seeing the JSDF moving forward with engaging with the new territories, and promoting "peace" (by way of showing them the military might of Japan). 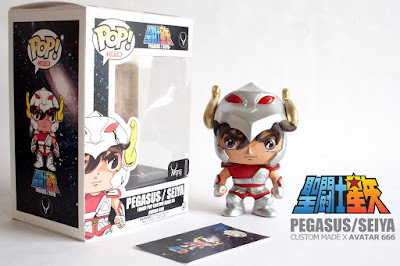 “Pegasus Seiya” by Avatar666 is custom made over a funko pop DIY Male - with epoxy and polimeric clay. Available for purchase here online for US$190 (Price includes worldwide shipping via registered mail with tracking). This one-of-one 4.5" tall figure homage to “Saint Seika” comes with it’s own customized artbox and card. Witness the first trailer for new anime film "Weathering With You", from director Makoto Shinkai ("Your Name"), featuring the music of RADWIMPS. Scheduled for a July 19th release in Japan, showcased here is the trailer sans English subtitles. 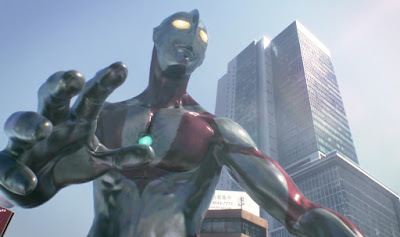 The name(s) is/are "Blocker Corp Machine Blaster" (ブロッカー軍団Ⅳマシーンブラスター) … also "Blocker Gundan 4 Machine Blaster" … also known as "Tempe Asoka Robot Bergabung" in Malay, and "Striker Force" in the Philippines! #OnePunchMan Specials #5 - "The Sisters Who Have Too Many Things Happening"
We get to meet "Blizzard of Hell" of the "Fubuki Group", who turns out to be the sister to "Tornado of Terror" - "S" Class, Rank 2 of the Hero Association! 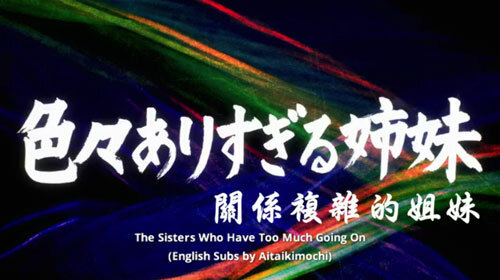 ONE PUNCH MAN SPECIALS #5 - "The Sisters Who Have Too Many Things Happening" ("Iroiro Ari-sugiru Shimai" / 色々ありすぎる姉妹).